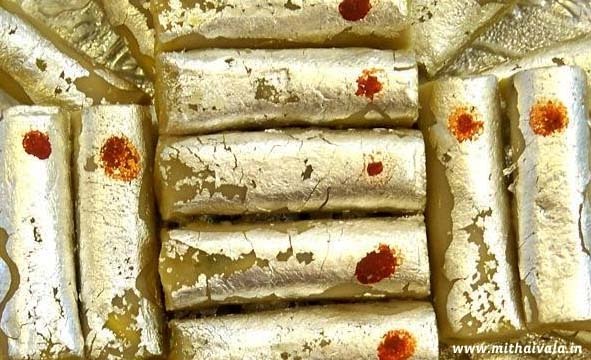 If you are visiting an Indian confectionery store for the first time, you are in for a silver treat, it should not come as a surprise that it is real silver that is being used as edible coating upon all the sweets. 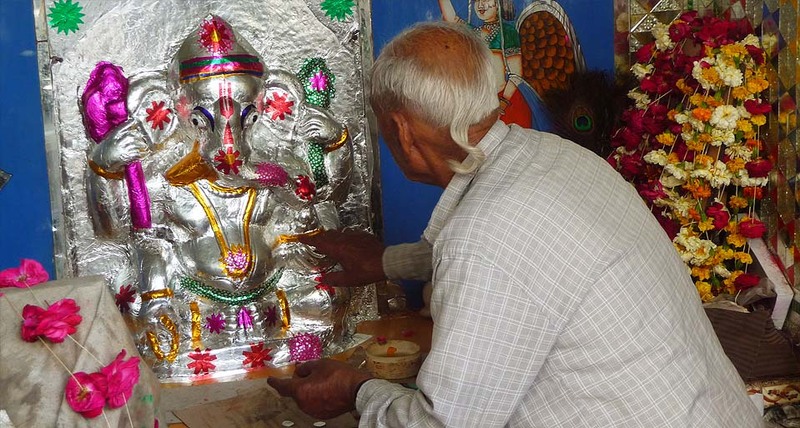 Locally called ‘Chandi ke warq”, these thin silver sheets are also used to cover idols in temples across the country. Scientifically, silver acts as an efficient anti-bacterial and coating food products with silver increases their shelf life. As a custom, sweet brought in an Indian household is first offered to the deity and then consumed by family members. This gives another motive for applying silver coating, to make the offering look elegant and auspicious. However, not many know that these flimsy thin sheets are achieved through constant hammering of a silver piece inside a leather pouch. The craft of making ‘Chandi ke warq’ involves precision and toil. Several layers of leather are taken and a silver strip is positioned between every two of them. This arrangement is then put in a robust leather book. The leather book is backed by a granite piece as the craftsman constantly beats it with a hammer. The thin sheet of silver that is used to ornament dishes is achieved after 8 hours of constant hammering. Brings back old memories from our trip to India, Indian crafts are fascinating.